Japanese and South African channels are now being streamed on to the Freeview channel guide, following the activation of JSTV and kykNET on channels 246 and 247. Both services are offered as hybrid channels, with portals to content transmitted over-the-air to compatible Freeview HD devices, with the actual channels being streamed via broadband internet to connected devices. Both services are being provided as subscription services. JSTV delivers a wide range of Japanese TV programmes 24/7 across two channels - JSTV 1 and 2, with live news, dramas, sports, award winning films/animations and more. A monthly subscription costs £30. 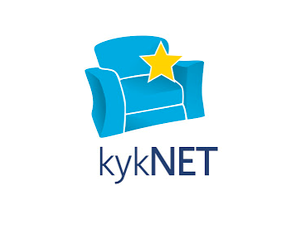 From South Africa, kykNET offers two channels in Afrikaans: Entertainment and Musiek and shows talk shows, comedies, dramas, music and much more. A monthly subscription costs £10. Viewers can subscribe by pressing the yellow button on the relevant channel and following the on-screen prompts. The services on channels 246 and 247 are due to become available on YouView boxes later this month, although both services are already available to subscribers of TalkTalk's YouView based TV service.